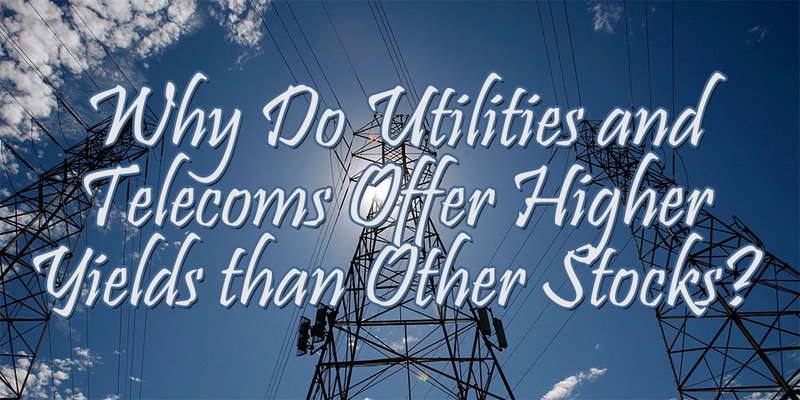 Why Do Utilities and Telecoms Offer Higher Yields than Other Stocks? Dividend growth investors are interested in just one thing: stable dividend payments, preferably with a high initial yield and double digit growth rate. However, not all dividend stocks offer a juicy yield on cost or strong yearly increases. Dividends differ between sectors to the point that even the Euro Dividend All-Stars look like a patchwork of industries and yields. But why exactly do some sectors offer a higher yield than others? This question has been at the back of my mind ever since publishing an article on the necessity of dividend income diversification as opposed to exclusively focussing on portfolio diversification. After all, a well-diversified passive income stream is bound to have an effect on your portfolio allocation because dividend payments are higher in some industries. If you were to ask junior investors which stock sectors offer the highest yields, the answers would probably be a unanimous “telecom and utilities”. That’s no surprise with the world’s largest telecom operators paying a dividend well north of 4% at the current market highs. British Vodafone (LON:VOD) offers investors 4.7%, whereas overseas AT&T (NYSE:T) goes beyond even that with a yield of 5.6%. Even closer to home – for me at least – telecom providers are known for their generous dividend schemes. Even though it hasn’t adopted a dividend growth policy, Belgian former state-owned operator Belgacom (EBR:BELG) rewarded investors who bought into the stock on January 2, 2014 with a yield of over 10% that year. Of course, this phenomenon is no coincidence. The relationship between the type of business a company is running and its dividend policy is a logical one. As such, high dividend payments strongly correlate with a firm’s business model itself. Let’s take a look at what constitutes fertile ground for high dividend yields in the utility and telecommunication industries. A difficult to enter market is one of the main reasons why many Western countries created antitrust and regulatory agencies. In the European Union the task to ensure easy market access and a competitive market falls under DG Competition from the European Commission together with the competition agencies of the member states. Despite the Commission’s best efforts, some industries still don’t enjoy a fully transparent and open market like others do. The previously mentioned telecom and utilities sectors are by far the two best examples in this context because of their large infrastructure and networking costs. As a result, the amount of capital needed to enter a new market and compete with established players is simply too large. In Belgium, for example, utilities like Elia System Operator (EBR:ELI) enjoy a de facto monopoly, driving up earnings and rewards to shareholders in the form of dividends. British National Grid (LON:NG) and Spanish Enagas (BME:ENG), both solid dividend growers, show that the same market effects play in other countries too. On top of low competition, utilities and telecom also enjoy stable income. People aren’t going to turn off their lights or heat when they hit a rough patch, just like they increasingly can’t live without internet access anymore. As such, utilities and telecoms also enjoy what makes many health care stocks so attractive: regularly returning business. A steady and relatively certain stream of income makes it very easy for a board of directors to offer shareholders a high dividend payment. After all, even when the economy is lagging, the company’s profit and its distribution won’t be under much pressure. Warning signs of business turning bad often rear their ugly head well in advance too. This principle obviously doesn’t just apply to telecom or utilities. For example, German reinsurer Munich RE (ETR:MUV2) enjoys stable income from its insurance premiums, thus allowing it to run a high risk-based business – literally! 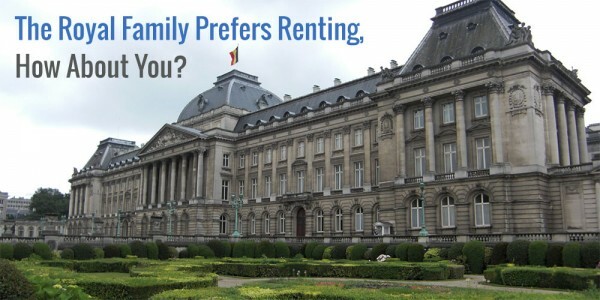 The same goes for real estate investment trusts like Realty Income Corp (NYSE:O) or Home Invest Belgium (EBR:HOMI). Even though utilities and telecoms are often large, established companies sporting massive economic moats, their geographically limited operations make it so that their business growth is on the lower side of the spectrum. Besides, it’s much easier to grow and expand organically if you’re a small-cap rather than a large-cap corporation. For example, a telecommunications operator has less of a need to re-invest earnings into the business when compared to technology stocks. Tech companies are traditionally known for their high growth but low yields or even lack of dividend payments simply because they put the money they do make towards building the business. It took Microsoft (NYSE:MSFT) over 15 years before it became the technology darling it now is to many dividend growth investors. 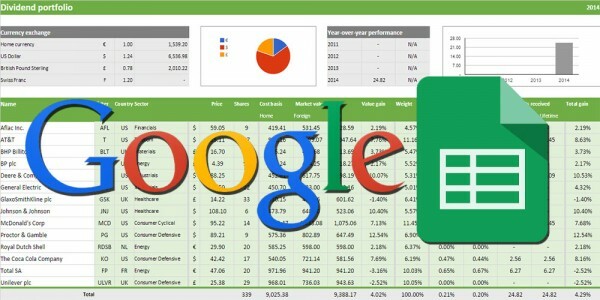 During that time the company underwent massive growth until it reached critical mass and stable earnings. Now it enjoys many of the same perks as large telecom providers, thus making a relatively high yield compared to its industry peers a possibility at 2.6%. The logic behind some investing phenomena isn’t overly complicated, as you can see. If it looks like a duck, swims like a duck, and quacks like duck, then it probably is a duck. The reasoning behind the high yield of utilities and telecom companies isn’t a whole lot more complicated than that. Because of their strong market position, stable income and earnings, and low-risk environment it comes as no surprise that the aforementioned industries offer such great yield to investors even with the market at an overall high level. That’s why you’ll see a lot of new investors flock towards utilities and telecom, even though the growth prospect of such stocks is relatively low. Ultimately, a good portfolio should have a mix of high-yielding stocks and companies offering a lower but more growth-oriented yield. Even though utilities and telecoms offer a good and solid way to get your dividend income off the ground, high growth stocks will play catch-up with them in a couple of years. Do you hold many high-yielding utility or telecommunication stocks in your dividend growth portfolio? I think you’re right about the reasons why these 2 sectors pay such nice yields. They make for tempting investments, but as you also pointed out, they should be part of a nicely diversified portfolio. While they pay a nice dividend, they do not grow much. I have both of these sectors in my portfolio, but they represent very small percentages. Interesting post, keep up the good work. The biggest downside to high-yielding telecoms and utilities is obviously the rather slow growth. While they’re great to get your portfolio off the ground, they’ll lose there momentum over the long-run when compared to high growth dividend stocks. Telecom companies like ATT and vz (I own both) keep losing customers because they fail to impress. Theor prices are higher than competitors. They invested so much in old technology while competitors that comes later take advantage of new technology to give themselves the edge. Like apple and google would come out with new phone and software each year. They convince people to change their phone and update the software even though there isn’t anything wrong with it. These companies must break up spin off some of their subsidiaries and buy up new tech say buy the super fast connection from google, or buy new startup that compete with google. Verizon and AT&T basically run a duopoly in the US. That’s why the infrastructure over there is some of the worst in the developed countries. Who cares about customer satisfaction when they have nowhere else to go and they basically can’t live without your services? As an investor that sounds like an awesome deal, but as a US consumer it would drive me crazy. Too bad it’s not all good this side of the Atlantic either though. Interesting post, NMW. I agree with you that the points are valid…the high barrier to entry sure makes them quite attractive. You almost never hear anyone say “I have this idea to start a new utilities company”. Network industries like utilities and telecoms have some of the highest barriers to market entry, which is why no one tries to start a new business in those industries. As current investors that’s a beautiful position to be in! T holder over hear. Also, FE is part of the fold. I just cannot get my head around why our gov’t keeps interfering with T. Every move they make is monitored to the highest degree. Sometimes, it seems like a little much, because T cannot seem to get their traction before the gov’t has something to say. Great to hear you’re a fellow shareholder of T! I do understand why governments keep close tabs on telecommunications companies. The chance of them becoming a monopoly (or oligopoly like you guys have in the US) is simply too large. That’s good for those businesses, but bad for consumers and the economy as a whole. T, VZ and VOD won’t show much growth over the long-run, but they’re great to get your portfolio off the ground quickly. With their dividend growth each years keeping up with inflation at least you won’t lose value over time. Let me know when you decide to ad VZ to your portfolio! I must admit I don’t hold any Telecom or Utilities stocks, but your logic sounds pretty solid from a dividend growth perspective for these businesses. Telstra is the biggest telecom here in Australia that most ‘mums and dads’ own, mostly for it’s rock-solid dividend. I’ve been looking to add a few more solid dividend payers to my portfolio, so will definitely keep my eye on a couple in these industries as well. Nothing wrong with not owning any telecom or utilities stocks, of course! 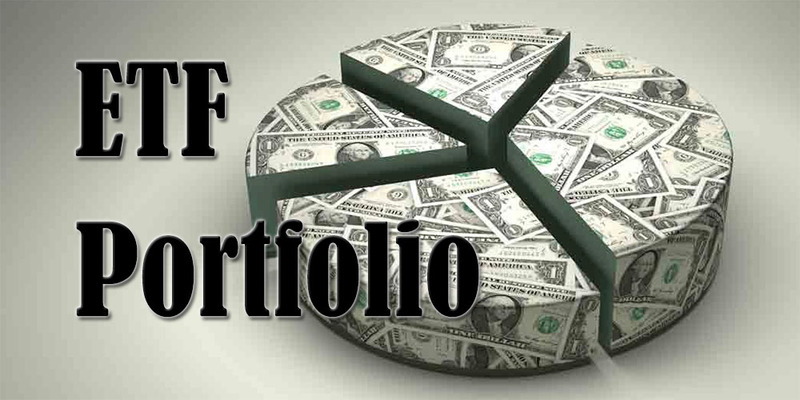 Each portfolio is different and you might be looking for more growth oriented (dividend) stocks. Thank you for mentioning Telstra. I hadn’t considered it before, but I’ll definitely look into the company now. Here in Switzerland, Swisscom has pretty strong dividend of 22 CHF, but my only concern is that is stuck at the level for the last 4 years and I am not expecting a big increase in the future and the stock is quit expensive, last closer date 551 CHF. For the re-insurance, we have 2 great companies in the SMI (ZURN.VX and SREN.VX), high dividend distribution and strong business underline., We are proud owner of SREN shares which paid us a nice pay check of 7794.0 CHF last month. So there are fundamentals in investing in these companies for us that want high dividend distribution. As is typical for European companies the dividends don’t increase every year. Furthermore, there has been a lot of pressure on the earnings of European operators because of increased competition policies from the European Union. They’re great for consumers, but for investors in telecom businesses they put pressure on the shares and dividend payments. NMW, fully agree on your analysis. This why we are really reluctant to invest. I believe you were the one who put National Grid (NG) on my radar a while ago, so thank you! If and when the Euro kicks back up, I’ll try to add that stock to my portfolio. Currently I’m looking towards the Spanish Enagas or the Belgian Elia, but I still haven’t decided which one I prefer more. Gotta love those barriers to entry, right? Nice post, but do not misinterpret the fundamentals and dividend towards Telecom. Recently many have been reporting drops in income due to the switch from Calling/Texting to using (free) alternatives like whatsapp. With the huge arrival of free WiFi. For examplemy hardwired household connection comes with acces to 5 million wifi spots, which means my data consumption has been reduced by >50%. Not just for me, but also a lot of people arround me. And that doesnt include regular wifi hotspots like the local McD, the workplace, and ofcourse your own home..
As result they are actually lowering their monthly subscriptions (and as such payments). And that to the telecom sector that has just done some massive investing with 4G networks arround the world. With this new competition arrival of ‘free wifi’ which is threatening the telecom sector and putting pressure on their businesses, the stocks have fallen and yields as result went up. I wouldnt be surprised if yields keep going up, untill some finally go belly-up. Good points! The decrease of calling and especially texting is putting pressure on many operators (at least here in Europe). However, telecommunications is much larger than only mobile. That’s why you’ll see companies that have both a mobile and a fixed-line network flourish over the next few years as they’ll be able to offer attractive bundles at attractive prices, whereas their competitors can’t. On top of that you see a major shift towards not only content delivery, but also content distributions platforms or outright content creation. When a telecom company manages to control the entire chain from creation to delivery, you can be sure they stand to gain a lot. It’ll be interesting to see how things pan out in the future! I agree, NMW. I have only started to recently come around to telecoms and other similar media companies (after all, with quad-play the boundaries are becoming less clear cut with the likes of Sky etc) as being “utility-esque” investments. But they certainly deserve that position in most regards. Here in the UK I have National Grid and SSE as my utilities exposure with BT as my main “telecoms” exposure. Though Sky also has a place in there! Once Vodafone has found its feet again with regards growth and a less terrifying PE ratio I will look to possibly open a position with them. We will see! Triple- or quad-play is going to make or break a lot of telecoms in the near future, I believe. Telecom companies that manage to offer just one aspect are likely to lose out and will be bought by larger competitors. It’ll be most interesting to see how current media empires and telecoms evolve over the next decade. I believe we’ll see a large consolidation movement with many telecom operators buying an increasing number of content creators and distribution platforms. Glad to hear you also own NG as that strengthens my believe in the company! You definitely got valid points. While utilities and telecoms offer higher yields, their dividend growth rate is not as high. Hence we should have a good mix of high yield stocks and high growth stocks. 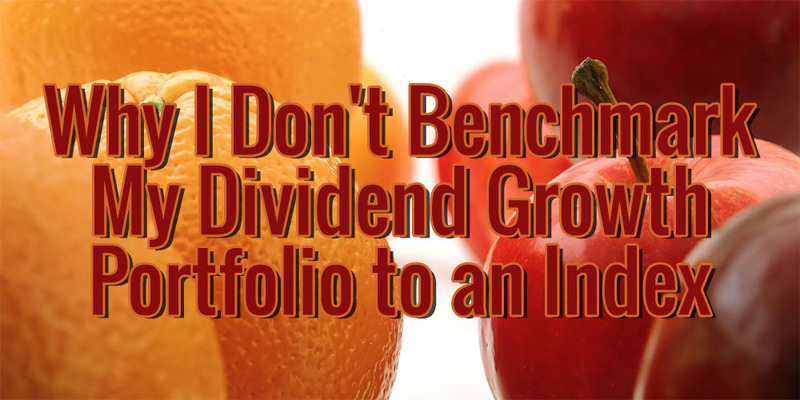 High yields are great to get a dividend portfolio off the ground, but growth stocks will eventually catch up with them. As such, you’re right that a great balance between the two is a necessity.